Following the death of King Abdullah Bin Abd Al-Aziz, at 90 or 91, on the night of January 22-23, Saudi Arabia is very likely to continue its policies of opposition to Iran and the Syrian regime of Bashar al-Assad, and its participation in the coalition effort against the Islamic State. These alignments are not an expression of mere rivalry between Sunni Saudis and Shia Iranians, or between Saudi fundamentalists and ISIS radicals. They embody a two-front life and death defense of Saudi society. To strengthen national unity in this dual effort, King Salman should pursue the reform course, however slow, initiated by King Abdullah. Saudi Arabia is perhaps the most opaque country in the world, particularly with regard to the politics of its monarchy. 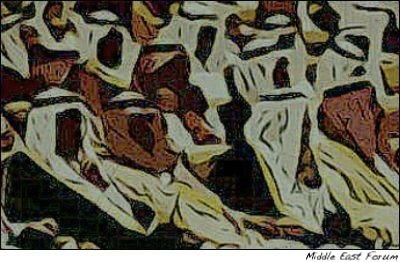 Saudi Arabia is perhaps the most opaque country in the world, particularly with regard to the politics of its monarchy. One thing is certain: Abdullah's reputation as a cautious reformer was belied by the flogging of Saudi blogger Raif Badawi, after the king had entered a hospital at the end of December. Badawi was subjected to the first 50 of a decreed 1,000 lashes—to be administered over 20 weeks—in Jidda, the Saudi commercial capital, on January 9. Outrage at the torture inflicted on Badawi only two days after the global demonstrations in solidarity with Charlie Hebdo may have diminished the enthusiasm of Saudi authorities in his persecution. The Saudi position on the Charlie Hebdo atrocity was ambiguous, which fed the controversy. The official Saudi Press Agency "deplored" the magazine's "mocking of Islam" even as a Saudi representative was sent to the Paris rally in support of the magazine. 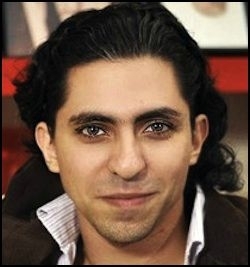 Liberal blogger Raif Badawi is, in effect, being tortured by the Saudi state for expressing dissent. After Badawi's first session of whipping, further such torments have been postponed for three weeks, according to AFP. The blogger's health was endangered by the beating, and the BBC, reporting on January 16, said the office of King Abdullah had referred the Badawi case to the Saudi Supreme Court. Badawi may be released under an amnesty granted by the new king. On January 30, Suad Al-Shammari, a lawyer and female cofounder of Badawi's blog, was freed by Saudi authorities after 90 days in a women's prison in Jidda. Badawi had earlier been charged with apostasy from Islam, bringing a probable death sentence, but that allegation was dismissed by a Saudi court in 2013. The blogger was, however, judged guilty of "insulting Islam"—for writing in favor of secular rule and against the silliness of Saudi Arabia's ultra-fundamentalist Wahhabi clerics (such as an unidentified television preacher who decreed that modern astronomers should be penalized for encouraging skepticism about fundamentalist Islamic doctrines). This venerable preacher has drawn my attention to a truth that had been hidden from me and my dear readers—namely, the existence of the so-called 'Sharia astronomer.' What a wonderful appellation! In my humble experience and in the course of my not inconsiderable research into the universe, its origins and the stars, I have never once come across this term. I advise NASA to abandon its telescopes and, instead, turn to our Sharia astronomers, whose keen vision and insight surpass the agency's obsolete telescopes. The House of Saud is locked in a 250-year old alliance with the Wahhabi clergy, which administers religious affairs as the sole official interpreters of Saudi Islam. The intersection of Abdullah's death throes and the flogging of Badawi may illustrate the situation of the desert kingdom today. The Saudi state is not technically a theocracy—the royal family rules, not the clerics—but the House of Saud is locked in a 250-year old alliance with the Wahhabi clergy, which administers religious affairs as the sole official interpreters of Saudi Islam. The steps King Abdullah took to open up and modernize his country were opposed by the intransigent Wahhabis, even if they refrained from criticizing him publicly. It is tempting to view as mere hypocrisy the relationship between the Saudi royals and the "House of the Sheikh," as the descendants of the Ibn Abd Al-Wahhab, the 18th-century founder of the Wahhabi sect, are denominated—especially in their dealings with the West. The Saudi princes flatter the West and collect oil income, while their Wahhabi partners propagate a form of Islam that aims at the destruction of the global order. The brutal ideology of the Islamic State is, clearly, a metastasized Wahhabism. A more difficult but ultimately more productive perspective would analyze the internal contradictions of the Saudi state, especially those affecting the royal family and their relations with the Wahhabi clerics. King Abdullah has been succeeded on the Saudi throne by his half-brother Salman, who is 79 years old. King Salman has named another of his half-brothers, Muqrin, aged 69, as crown prince, the designated heir. King Salman is a member of the prominent group of seven sons of the modern Saudi kingdom's founder, Abd Al-Aziz, known in the West as Ibn Saud, and a favorite among his many wives, Hussah Bint Ahmad Al-Sudairi. The "Sudairi Seven" included King Fahd, who was born in 1921 and reigned from 1982 to 2005, and Crown Prince Nayef (1933-2012). Nayef was feared as the hardest Wahhabi at the heights of power, when he occupied the Ministry of the Interior, from 1975 until his death. He was infamous for blaming the atrocities of 9/11 on "Zionists." His son, Deputy Crown Prince Muhammad, has been appointed to head the Interior Ministry. Muhammad is relatively young, at 55. He is also believed to harbor extreme Wahhabi views. King Salman's choice of Adel al-Toraifi, the young and urbane former general manager of Al-Arabiya TV, as the new cultural and information minister has been well received by secular Saudis. Have the Sudairis, with their demonstrable weakness in the face of Wahhabi radicalism, returned to power? Perhaps. But if so, they have not brought the most famous of their offspring with them: former Saudi ambassador to the United States Prince Bandar Bin Sultan, a second-generation Sudairi. King Salman has already announced a series of cabinet changes. One was the dismissal of Prince Bandar from the Saudi national security council. More remarkably, Salman appointed Adel al-Toraifi as the new cultural and information minister. Al-Toraifi, a suit-and-tie wearing professional, is the former general manager of Saudi-owned Al-Arabiya television, which operates from Dubai. Additionally, Salman has installed Muhammad al-Suwaiyel as minister for telecommunications and information technology. Al-Suwaiyel is the former head of the King Abdullah City of Science and Technology, a massive coeducational university. That may be the most absurd aspect of the persecution of the blogger Badawi—that he defended the same modern scientific principles that Abdullah hoped to teach young Saudis. King Salman has appointed Abdul Rahman Al-Sanad to head the feared Commission for the Promotion of Virtue and Prevention of Vice (CPVPV). Because of the power of the Wahhabi elite, another of King Salman's new appointments will excite considerable speculation in the kingdom. Salman has assigned Abdul Rahman Al-Sanad to head the Commission for the Promotion of Virtue and Prevention of Vice (CPVPV), known to Saudis as the hai'a (commission) or mutawiyin ("pious volunteers"). Described typically as a "religious police," the hai'a are more aptly called "morals patrols." In the past, they stalked the cities of the kingdom with leather-covered sticks, terrorizing those who were slow to run to mosque services when the call to prayer was sounded, women who allowed the all-covering abaya to slip and expose a bit of ankle, hands, or face, and members of the Saudi Shia minority. King Abdullah provided for changes in the habits of the mutawiyin, under the direction of Abdul Latif Al-Sheikh, a direct descendant of the founder of Wahhabism. Like Abdullah, Al-Sheikh demonstrated reform attitudes, imposing new restrictions on the mutawiyin, including a prohibition on interfering with people, by arresting, interrogating, or searching them without a warrant from the local governor. Yet in 2013 Abdul Latif Al-Sheikh, acting as head of the "morals patrols," tried to prevent Saudis from using social media like Twitter as a threat to social unity. 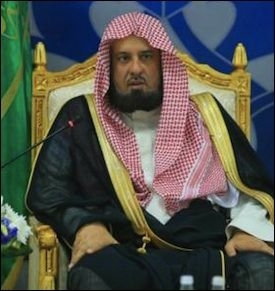 His successor, Al-Sanad, has a background in Islamic law, with degrees from two prominent Wahhabi institutions, the Imam Muhammad Ibn Saud University in Riyadh, the Saudi capital, and the University of Medina. The charges against the blogger Badawi included his reference to the Imam Muhammad Ibn Saud University as a "den of terrorists." Indeed, the institution is commonly designated "the terrorist factory" by moderate Saudis. It will be revealing to see how Al-Sanad treats his responsibilities as head of the "morals patrols." But in light of the undeniable commitment of King Abdullah to scientific education, Saudi Arabia could find itself with a government of technocrats. That would be a positive outcome, to say the least. 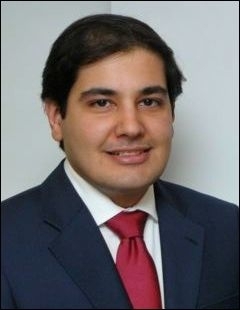 Irfan Al-Alawi is executive director of the London-based Islamic Heritage Research Foundation. Stephen Schwartz, a fellow at the Middle East Forum, is executive director of the Center for Islamic Pluralism in Washington, DC.